Hello and welcome to the Theta Tau Chapter of Alpha Gam! During the 2018-2019 schoolyear we hit the ground running by starting to prepare for Greek Sing which is Belmont’s Greek Life’s biggest fundraiser for the year that raises money for our Greek Wide philanthropy St. Jude. This year we went on our annual over-night sisterhood event in September in Indiana which was held at Holiday World. We rode lots of roller coasters, had lots of laughs, and lots of sisterhood bonding. At the beginning of October we held our signature fall philanthropy event, Lip Sync Battle where we raised almost $4,000 for the Alpha Gamma Delta Foundation and our philanthropic focus of fighting hunger. In October, we had our fall ball date party and invited a lot of other greek members in our Belmont Community. At the end of October, we put on what I would call the most iconic half time show I have ever seen. We put on a half time show to raise money for the children of St. Jude for Greek Sing. During Halloween, some of our members volunteered at BOO at the Zoo! In November we danced the night away at our City Lights themed formal. In December we initiated 7 new members into our sisterhood. With all the hustle and bustle of the fall semester Alpha Gam had over 60 girls make the Dean’s list and Alpha Gam had an overall GPA of 3.45. We are a part of the Pearl Honor Society that Alpha Gam recognizes internationally. Kicking off the Spring Semester, we started preparing for our first differed formal recruitment. On our Bid Day we welcomed the spring 2019 pledge class which was themed “glow gam” and we went cosmic bowling. 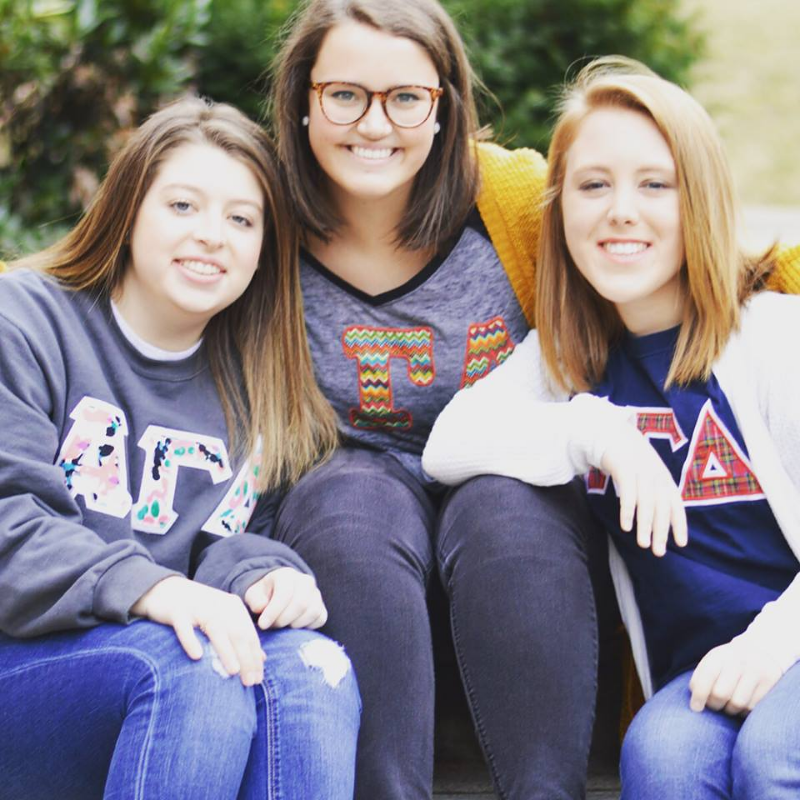 At the beginning of February, we participated in Alpha Gam’s week of service where we volunteered at Second Harvest, Project CURE, Room in the INN and hosted a convocation on campus for Meals on Wheels. We also had Alpha Gam week at the beginning of February where we worked out together, served our community, went to the movies, and had a valentine’s day party. At the beginning of March we hosted a brand new philanthropy event called Doggos for a Causos where we raised $4,500 for our philanthropy and the animal shelter. After Spring Break, we had Big/Little reveal on the Pedestrian Bridge in downtown Nashville. We had a Chanel themed semi-formal and danced the night away with our sisters and our friends. In early April, we initiated 64 wonderful women into our fraternity. We were also awarded the 2018-2019 Greek Chapter of the Year by Belmont University. I cannot wait to see what the future holds for the Theta Tau Chapter and Alpha Gam overall! Alpha Gam has been one of my highlights in my college experience and I could not image what my college time would be like without the women in this chapter pushing me and encouraging every day. This chapter loves unconditionally, and has taught me how to lead with purpose now and in my life to come, Alpha Gam will be a lasting part of my life and I am so glad I get to call Theta Tau and Alpha Gam my home.